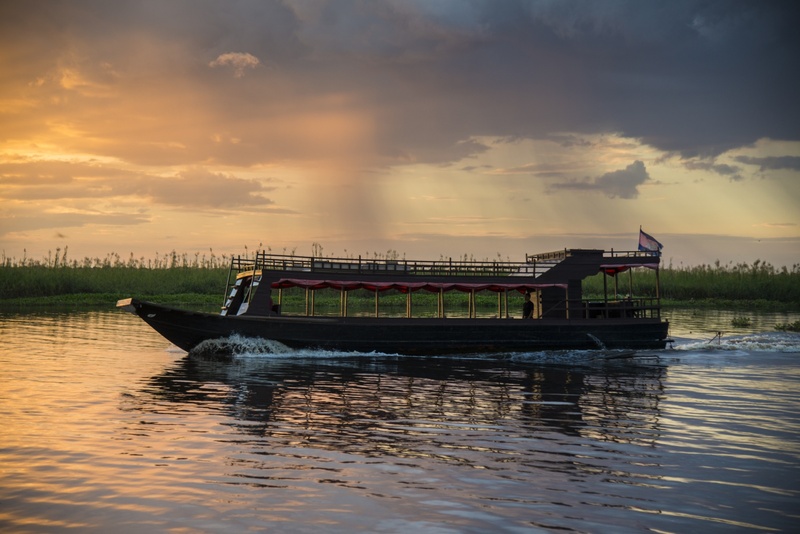 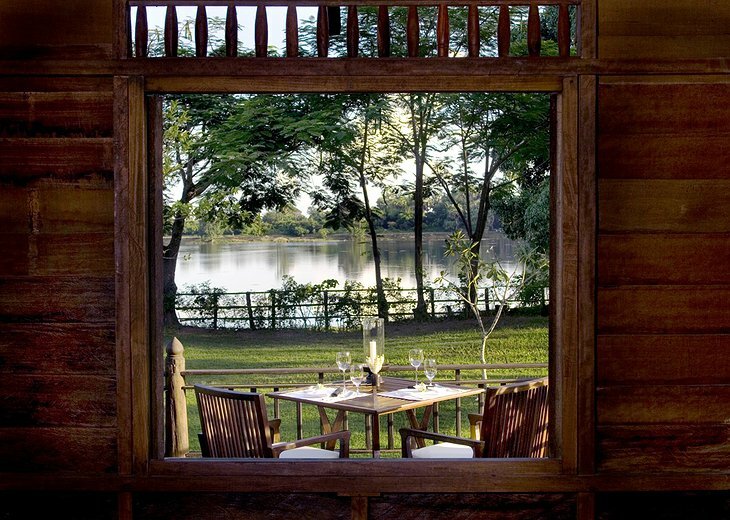 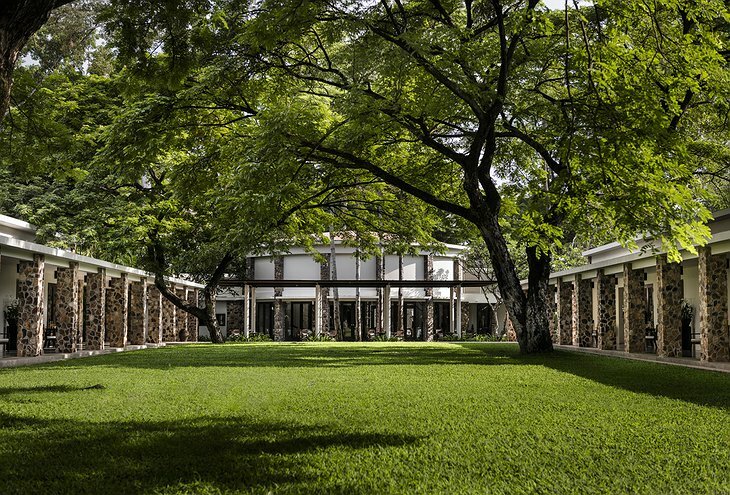 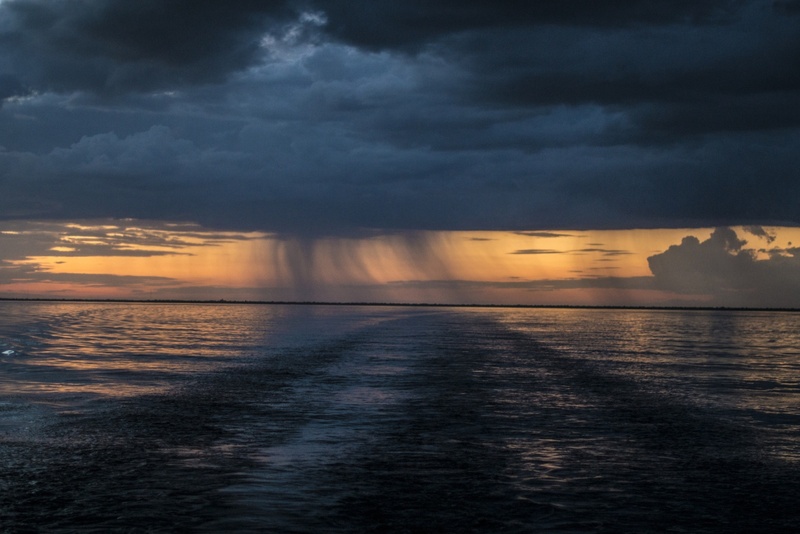 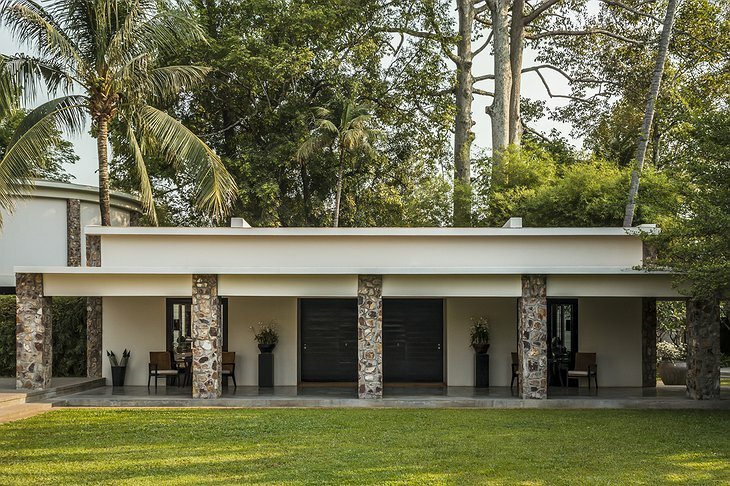 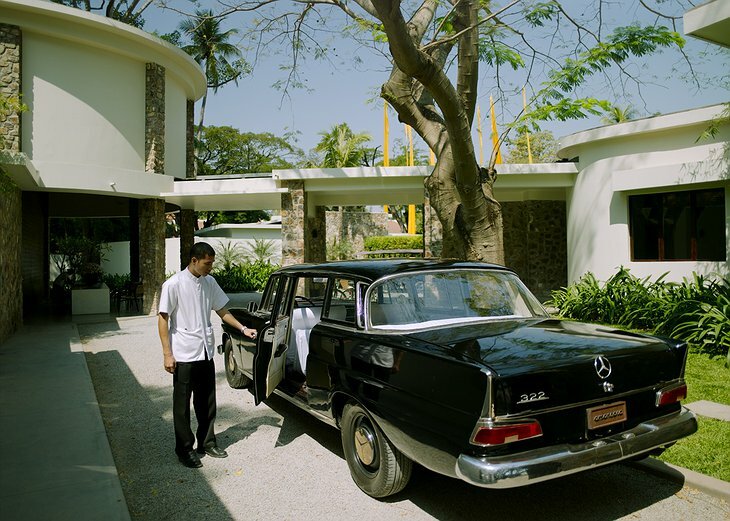 Located in Cambodia, this luxury resort is housed in what was once King Sihanouk’s former guest residence in 1962. 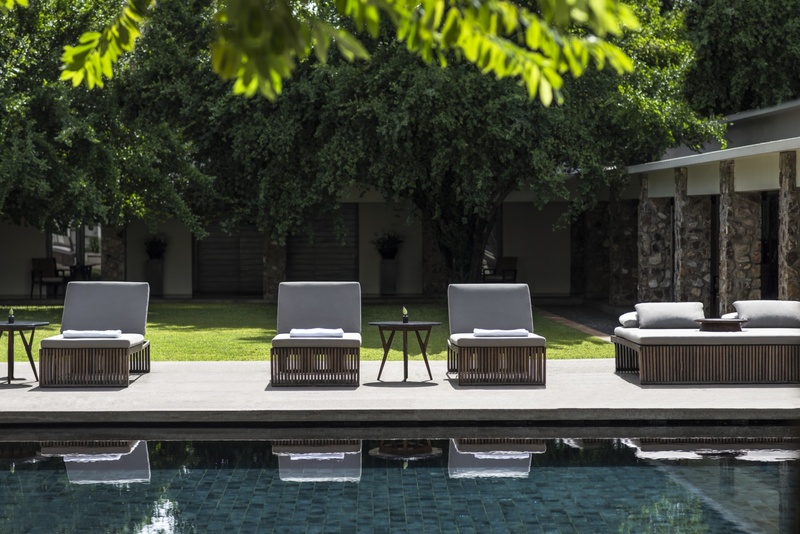 Rooms at the Amansara are open and spacious, letting in plenty of light through floor-to-ceiling glass doors; it’s not surprising that this has been a longtime destination for the world famous. 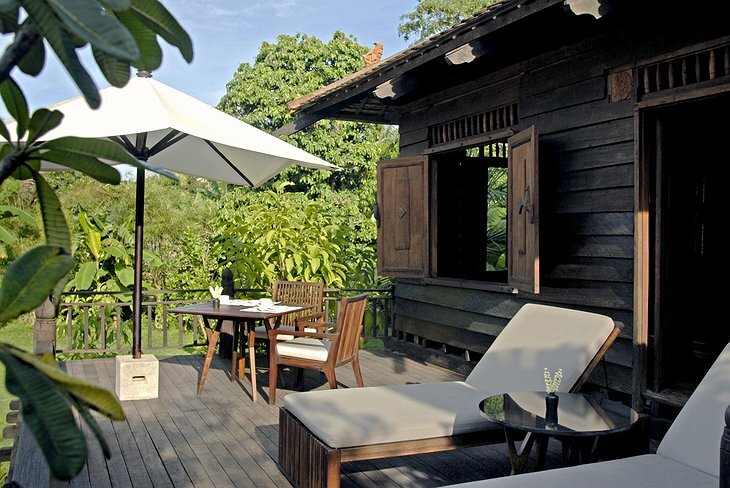 Dark wood furniture and white decorations, with Cambodian products peppered throughout, complete the 24 open-plan suites. 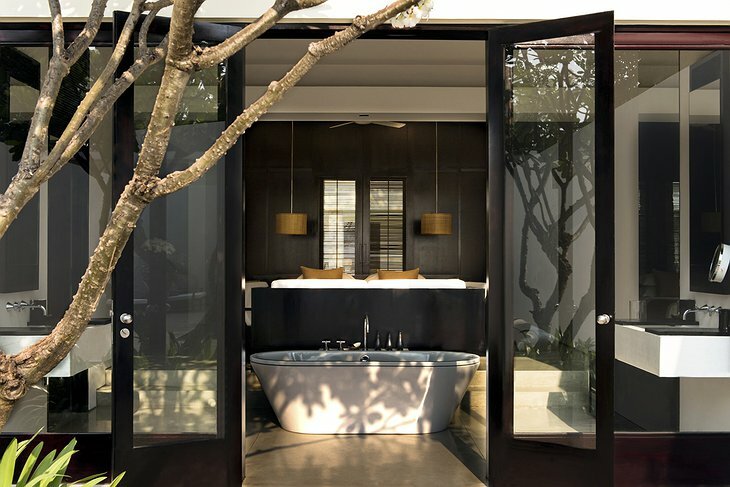 Twelve of these suites include private plunge pools! 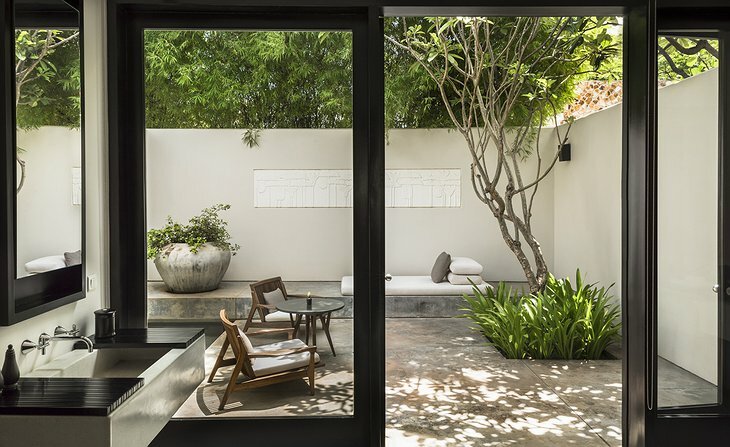 Rumor has it that suite 4 offers the biggest courtyard for guests to enjoy. 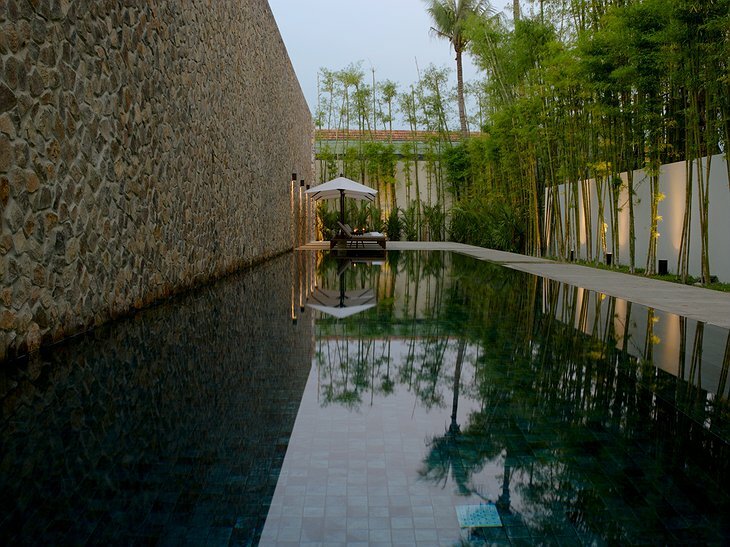 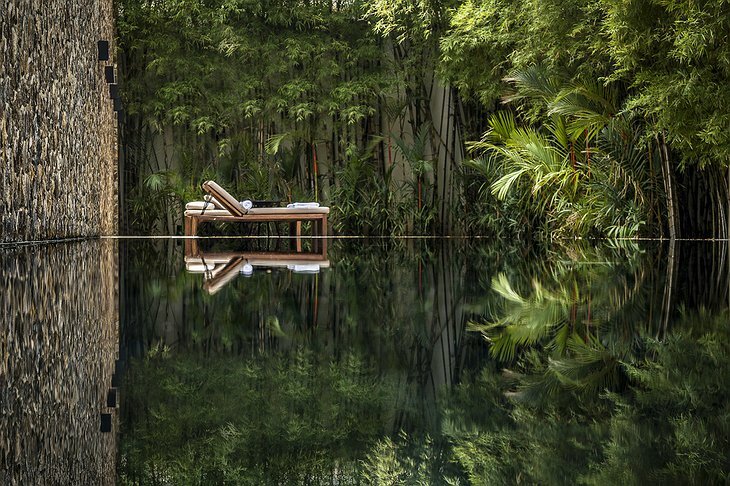 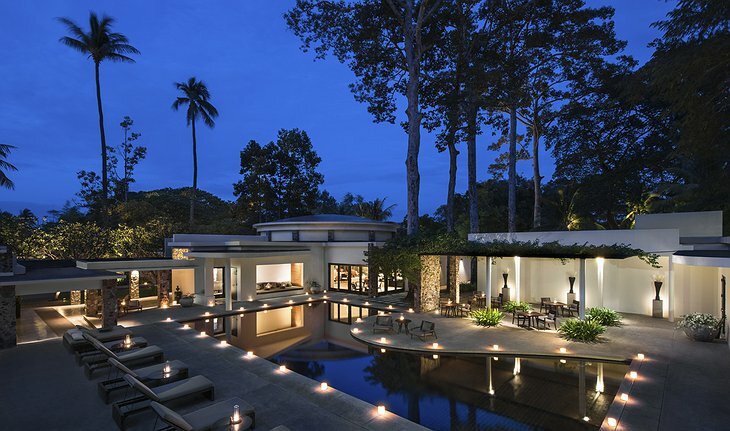 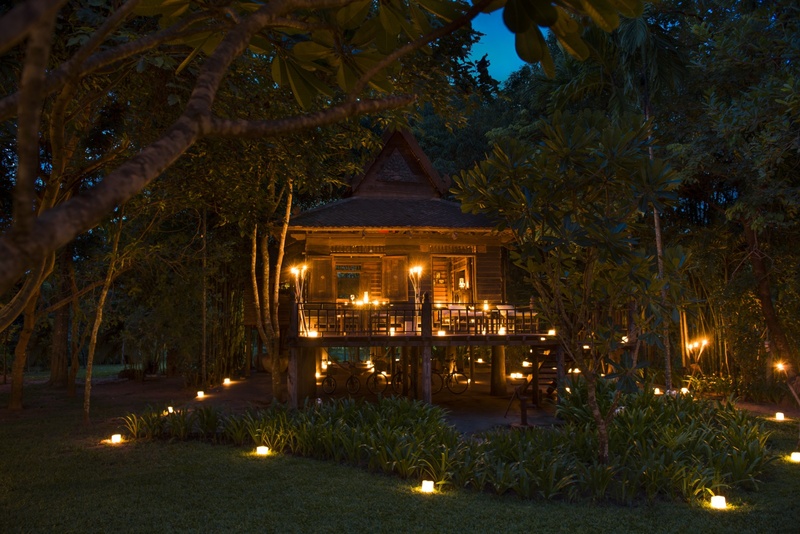 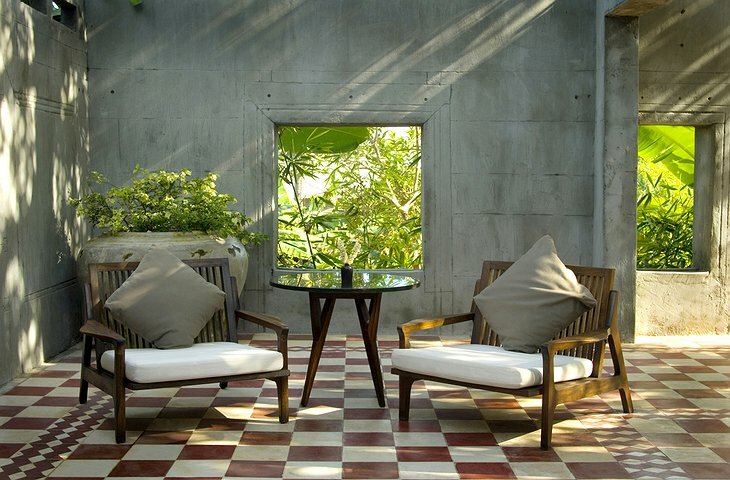 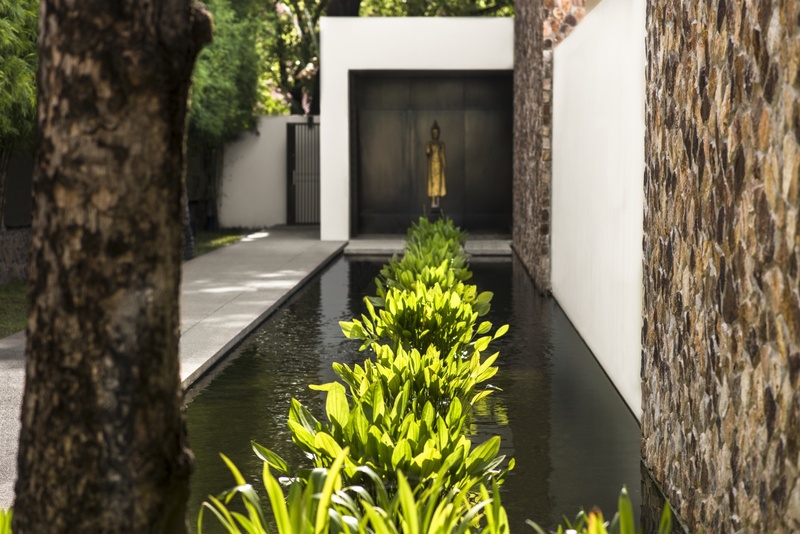 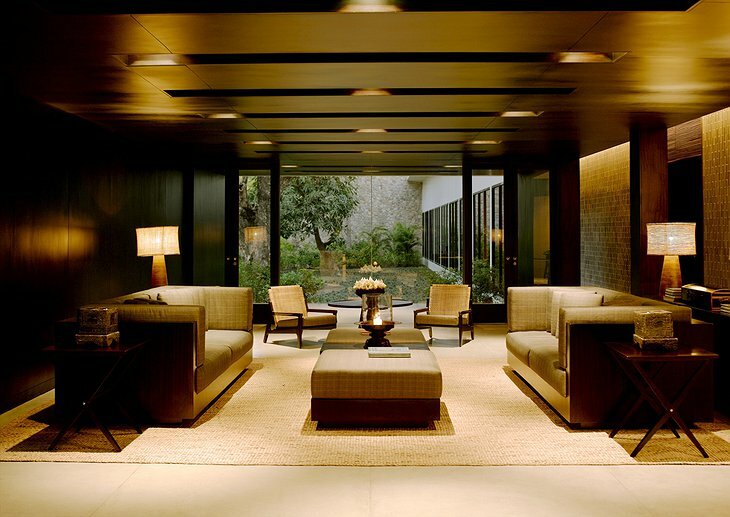 While a luxury resort, the Amansara is not showy or glitzy. Rather, the more modern fixtures throughout subtly complement the intricate architecture, leaving an all round feeling of tranquility. Most of the communal areas include large outside spaces, with sunrise yoga sessions offered for those who truly wish to connect with nature. 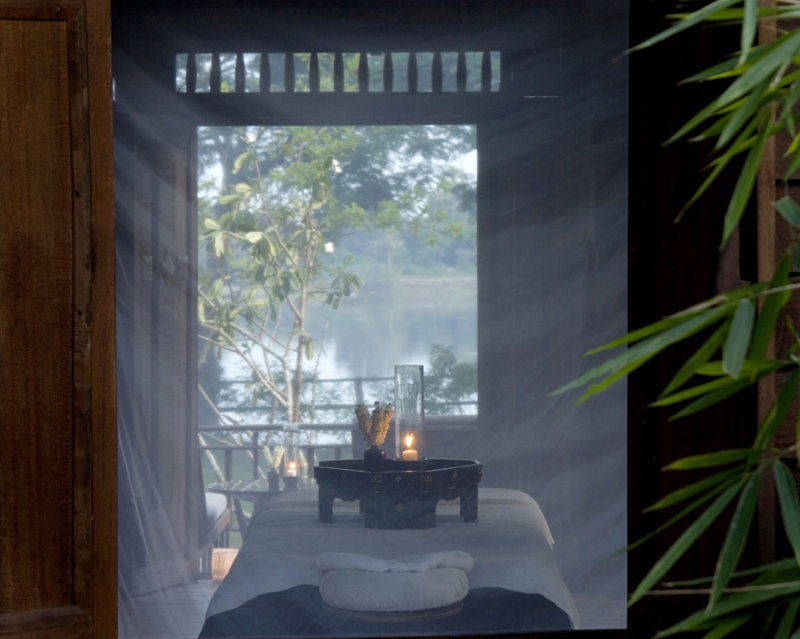 There is also a lovely spa where guests can try out a traditional Khmer mask to stimulate the senses. This resort allows guests to feel as if they are in a house all their own, with an added bonus of pampering. 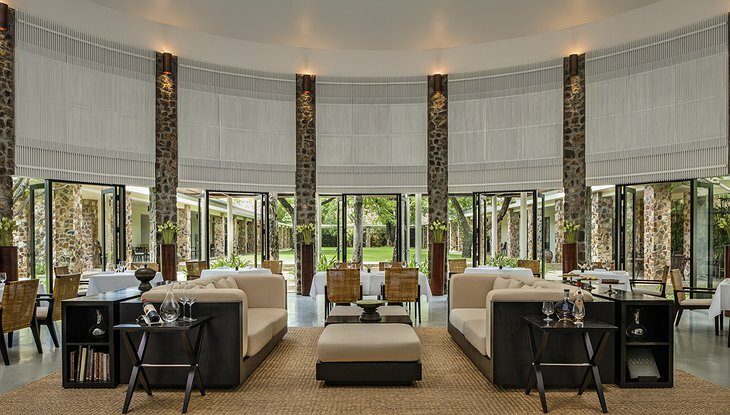 If all this relaxing has you hungry, enjoy a meal in the resort’s sleek, circular restaurant, once used as the king’s screening room. 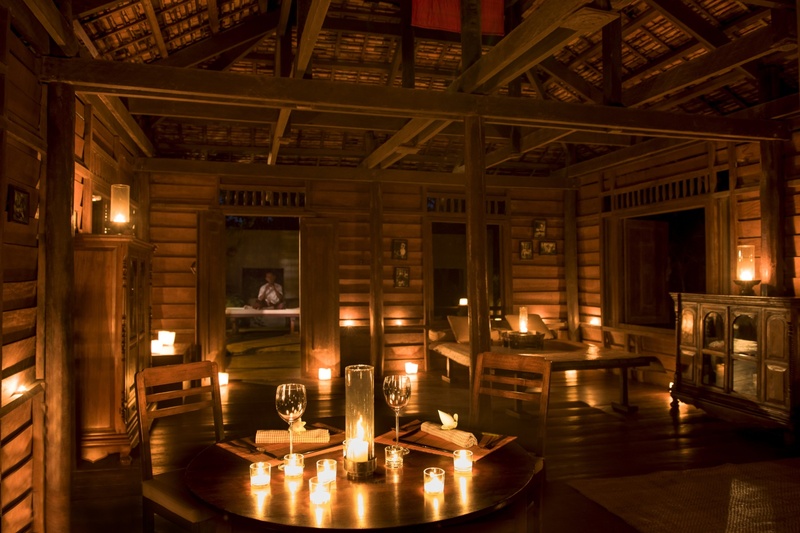 Dishes, like the banana blossom chicken salad, quail egg soup and black sticky rice with mango, all make use of the very best local ingredients. 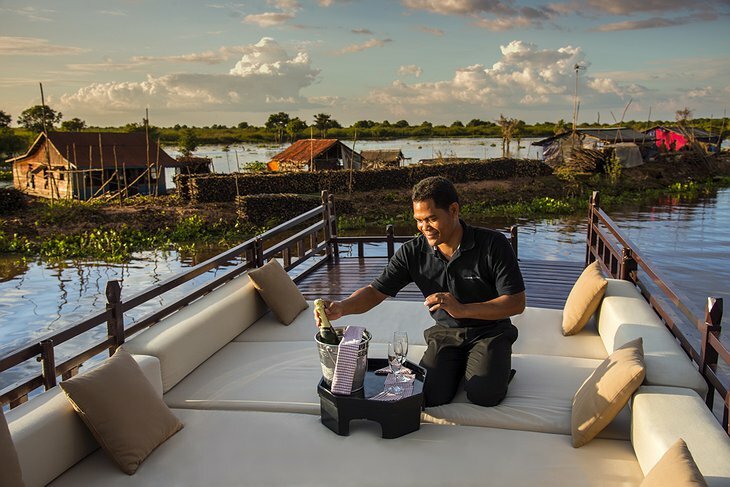 Choose between other Khmer favorites such as fish amok curry or Western prawn risotto. 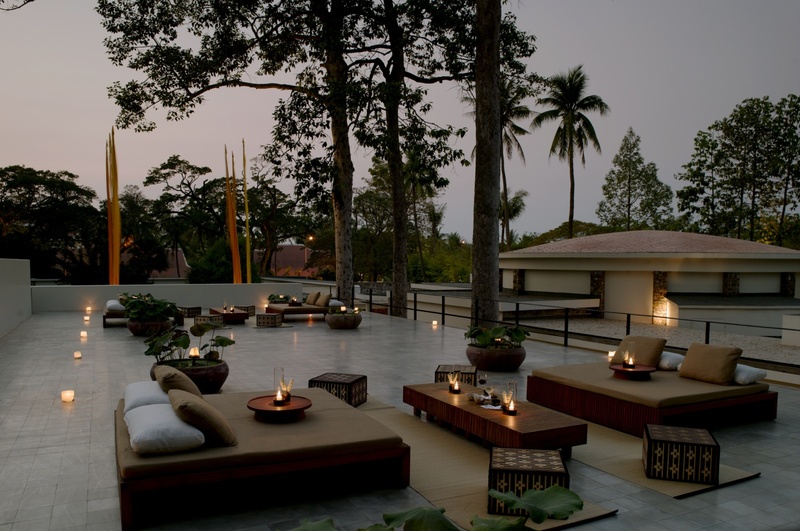 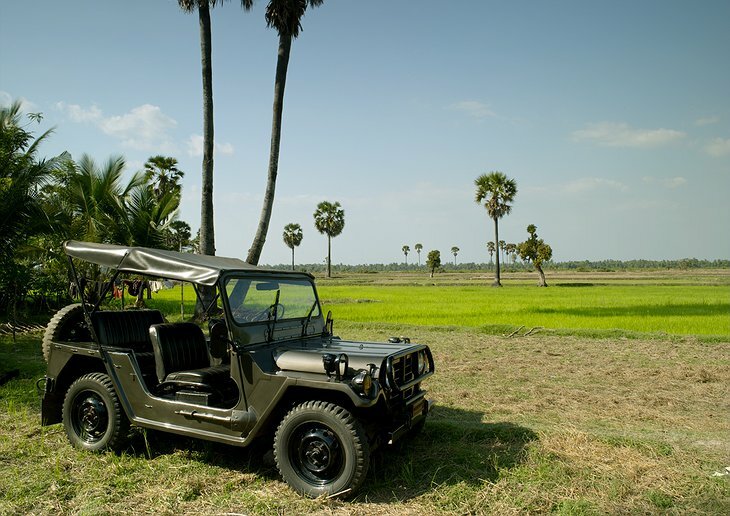 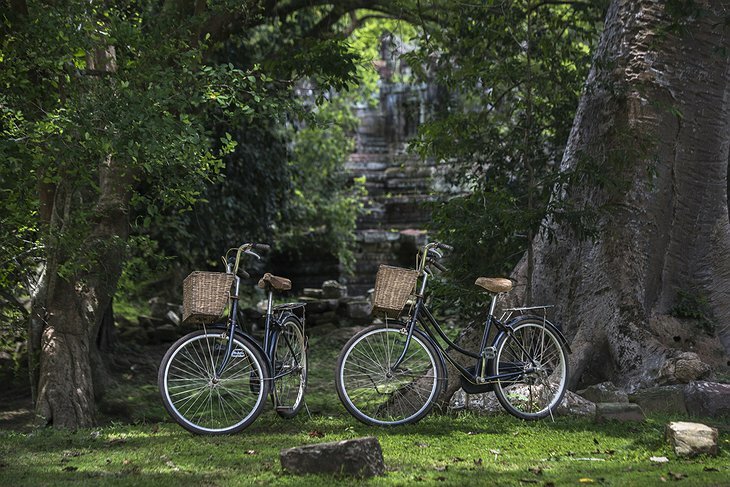 Amansara Resort Siem Reap is close to shops, dining and Siem Reap's nightlife.